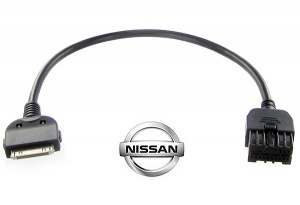 Nissan iPod adapters and iPhone adapters, iPod cables for Nissan Pixo Micra Cube Note Qashqai Juke 370Z X-Trail etc. Connect iPod or iPhone to your Nissan car stereo. 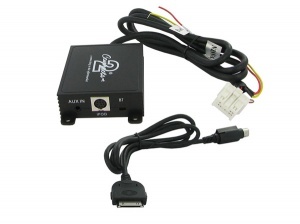 Nissan iPod adapter with AUX input for Nissan Almera Micra Primera Tiida 2000 onwards models with 12 pin CD changer connector at rear. Nissan iPod and iPhone cable for headunits with media socket in dash.